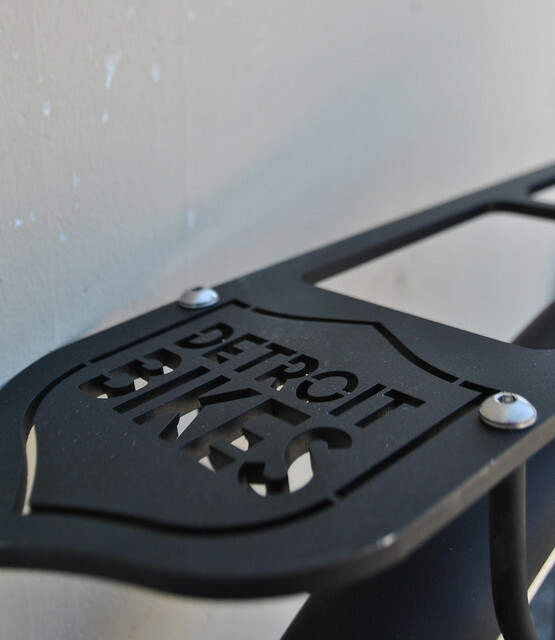 Sneak Peek: A bike made in Motor City, USA. Happy 4th of July! Today is the perfect day for a sneak peek of an upcoming bike review. Manufactured in Detroit, MI from American chromoly steel, this Motor City creation has two wheels instead of four, handlebars instead of a steering wheel, two pedals instead of . . . I think you know where I’m heading with this. 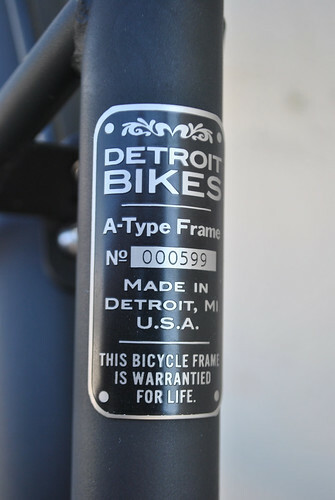 Not only is the bike frame manufactured (from US steel) in Detroit, the bike’s wheels, rack, and chain guard are also built in the Motor City. Do you feel that? It’s American pride. 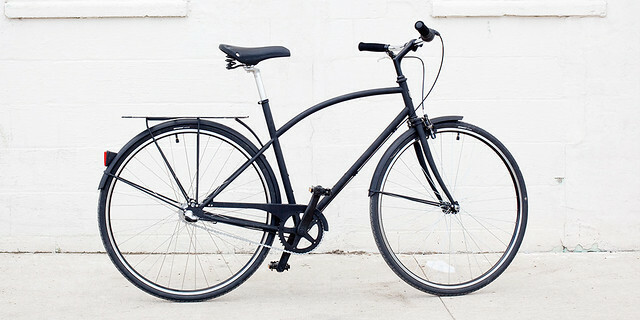 Detroit Bikes, LLC has created an American-made beauty. Stay tuned for the upcoming review. And have a great 4th of July! This is what my interaction was like when I walked up to the Salsa Bicycles booth to test-ride one of their bikes. Awkward, kind of, but I can see why the booth employee said no. The company labels their bikes to be “Adventure Bikes” and not before long, I found out why. 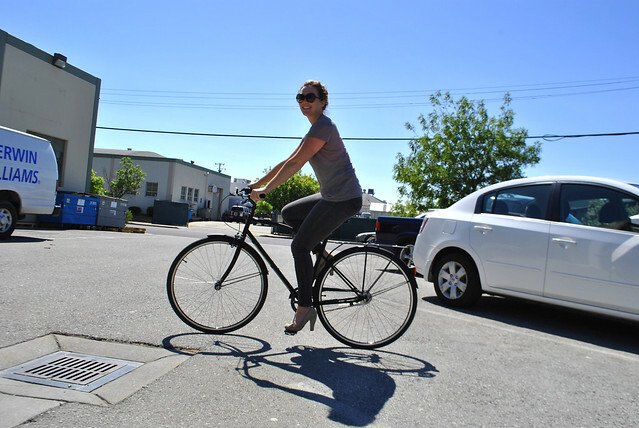 I chose the “Fargo” bike as it looked cool and reminded me of a cross between a Randonneur bike and a Cyclocross bike. Another reason why I chose the Fargo was because it had a really cool-looking handlebar. I ride mostly road bike or singlespeeds so I wasn’t quite used to the “rad” styling of the handlebar at first. I rode on the top. I rode on the drops and even tried to ride with my hands on the brake hoods. All three positions were uncomfortable at first but as I kept on riding, it became more comfortable–I no longer noticed my discomfort. Perhaps I stopped noticing because of the heavy foot traffic at Interbike that I had to feverishly avoid or perhaps it was because I became more focused on finding hydration booths to keep myself from getting dehydrated. Either way, I eventually fell in love with the handlebar. I know it’s impractical to swap out my road handlebar with the obviously less aerodynamic handlebar on the Fargo because I can’t go as fast. But I know that most of the time when I’m riding, I just cruise and this handlebar was perfect for it! This is something I know most commuters can appreciate. I love steel frames. It’s technology that hasn’t really needed to be advanced and can most of the time combine the stiffness of an aluminum frame but has damping qualities closer to a carbon frame. 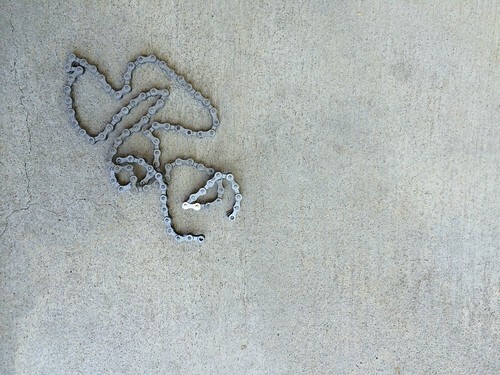 I ride a Reynolds Steel-framed road bike and this Cro-Moly frame rode very comfortably. I know that I’ve got to factor in the “Thudbuster” seat post that naturally damps the vibrations of the road/path and the thicker tires but I gotta be honest…the Fargo rides very smoothly compared to my road bike with 700×23 slicks installed. While I was riding the bike on different terrains like gravel, dirt, pavement and mud, I found the gearing to be very wide and sufficient for all applications. I didn’t get to go on a steep dirt climb but when I did take it up a steep street, it rode more like a hybrid and a lot less like a mountain bike. I even took it down a long and windy bike path where I’m sure I easily hit 20 mph. When I did go off-road, the bike maintained its smooth ride–I went over rocks, potholes in the dirt and it was not a shocking, vibrating experience. In other words, no matter what terrain I put the bike in, the ride was very smooth. Lastly, I didn’t really get to test the brakes all that well. I mean, they were disc brakes so they stopped on a dime but I mainly focused on the ride quality and whether it would be a bike that commuters should consider. As I said before, I mainly commute on road bikes but I would definitely recommend this to anybody looking for a commuting bike, especially those that commute over a combination of dirt and street.